Q: How would you describe Fidelis Education in your own words? A: Fidelis Education is the pioneer of the emerging category of education technology called Learning Relationship Management (LRM). We deliver a combination of software and consulting to help schools stand up out-of-class student success services to maximize student success. 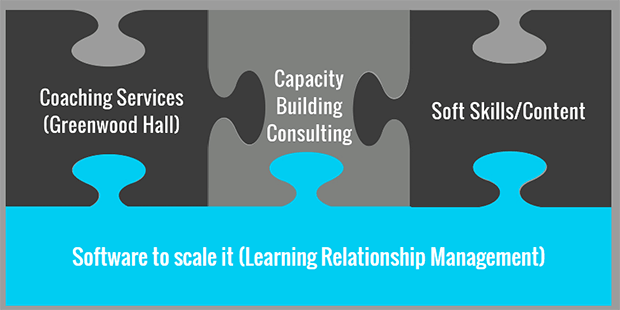 Q: What is Learning Relationship Management (LRM)? A: LRM fills the gap between a Learning Management Systems and Student Information Systems by acting as the operating system for out-of-class student success support services. Specifically those services include mentoring and advising, tutoring, social-emotional learning, community and employer engagement. Q: What advantage does Fidelis have over its competitors? A: Our product is furthest along, we were first to market, have the most well-developed consulting and implementation services. We think we have the widest and most diverse customer base/users, and spans k12, corporate, and higher education. Q: More generally, how do you see the education technology landscape developing, and where do you place yourself in the industry? A: Old edTech was focused on content. The future is going to be about releationships. Research and common sense agree that people learn best in the context of relationships. Specifically their relationships to a motivating purpose for their education, a clear pathway of credentials and a community of support. In order to provide students with these, schools need to change their internal structures to support coaching and mentoring. This type of change requires effort and resources, so what we are currently seeing is that education technology is a wave that a few innovative schools have caught first, and following just behind are schools that aren’t natural innovators, but that are driven by a desire to drive real outcomes for students. Q: What can we expect from Fidelis Education in the future? A: You can expect that Fidelis will continue to lead the Learning Relationship Management (LRM) movement. We’re expecting that our new community partnerships feature set will really change the game by enabling companies and schools to establish partnerships so that each can play their role in filling the skills gap, which we think is probably the biggest challenge in education. Drumroll please… What’s the number one thing holding your institution back from outcomes? It’s not having a Relationship Strategy. Thus, making learning more personal and relational for everyone. Thinking about the future with this analytics tool makes it almost imperative that institutions develop a Relationship Strategy. Watch this video to learn how to more easily manage the student lifecycle. But first, what is a Relationship Strategy anyway? In 2013, the National Commission on Higher Education Attainment (NCHEA) issued a crisis in higher education stating that “every college and university president and chancellor to make retention and completion a critical campus priority”. The importance of relationships to student success in all parts of the student lifecycle is backed not only by concrete research but also common sense. “Only 14% of students remember a professor who cared about them, made them excited to learn and encouraged them to follow their dreams”. And we know that this not only leads to decreased success in college but also decreased success beyond school. Roughly 3/10 employees are actively engaged at work. Those that are engaged state that it’s critical relationships that push them to be more engaged. “Coaching not only works, but it appears to be one of the more cost effective ways to produce better retention and graduation rates”. Do our students have relationships with peers, mentors, staff members and alumni? Which students have which relationships? Of those that do, how did the relationship form? Of those that don’t, how do we give them access to these relationships? What tools exist that allow me to facilitate the connections between students, staff, peers and alumni? In a small group setting, facilitating the connections that are necessary for a student to be successful is relatively easy, but the reality is most advisors and coaches are managing hundreds of students at a time. This type of scale for student management and personalization is extremely difficult to achieve without a concrete plan and more often than not, software or suites of tools. Download our suite of free student lifecycle management tools by clicking here. A Relationship Strategy can be anything your institution comes up with, as long as it incorporates the critical pieces that students need to succeed, including relationships. 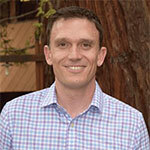 By Michael Horn, Clayton Christensen Institute and Intellus Learning, taken from eCampus News. Different students attend higher education for different reasons. Understanding a student’s “Job to be Done”— the reason people “hire” products or services in a given situation—in partaking in postsecondary education is critical to helping students stay on track for graduation. The reason why is if a college doesn’t understand what a student is trying to accomplish, then it doesn’t know what experiences it needs to provide during the application process through graduation. And if it doesn’t understand what these necessary experiences are, then it is likely to integrate the elements of its enterprise in ways that are irrelevant to what students are trying to accomplish. One of the core reasons many students struggle at certain colleges and universities is that these institutions have historically tried to cater to lots of people with lots of different jobs in an effort to be all things to all people. As a result, they aren’t structured in a way that is optimized for any particular Job and often become a “one-size-fits-none” institution. Once a college understands the Job that its students are trying to do, it can organize around the experiences necessary to get that Job done by stitching together the right resources in the right way. This extends from creating academic programs tailored to students’ Jobs to optimizing the learning experiences within those academic programs, and from building the proper physical spaces to optimizing a student’s social supports. Tools are emerging to help colleges affordably create these experiences. Colleges can use Intellus Learning to help faculty members choose content that is optimized for each student. Noodle Partners can help schools customize their online offerings. Emerging learning relationship management systems like Fidelis Education and Motivis can surround students with mentors and coaches to support them through college and into their careers. And Civitas Learning harnesses data to help colleges provide the right supports at the right time for the right student. It’s early in this revolution, but understanding the Job is increasingly allowing institutions to use a range of tools to optimize a student’s experience and realize success. 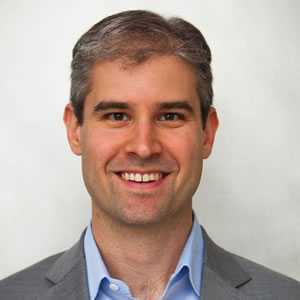 Michael B. Horn is co-founder of and a distinguished fellow at the Clayton Christensen Institute. He is an advisor to Intellus Learning and serves on the board of directors of Fidelis Education. Tis the season of giving & connection. Whether you’re a teacher, administrator, staff member, or advisor, even the smallest gesture can go a long way. Check out these 7 simple ways to create human connection while saving time, money, and personalization. Electronic cards are a severely undervalued way to send holiday greetings at scale and with a personal feel. With endless options, it takes typically 15 minutes to build a card, upload an email list, and send away. It beats sending a plain text email 9 times out of 10. Most companies even take personalization to the next level by allowing for personalization tags and changing up some of the language for individual receivers of the card. You may happen to be the point of connection for most students or staff members you interact with. Making an introduction between students, students and staff, or staff members is a great way to show individuals you care about their personal interests. All it takes is a quick email or a couple of minutes after class to formulate a potentially powerful bond. relationships drive outcomes for schools. check out the latest research from wainhouse. Doesn’t sound like you? Maybe that’s a sign you should. Being in public spaces where students or other staff members (who you don’t see) hang out is a great way to ignite connection. Instead of working in your office or at home, make an effort to head to the library or campus center for an hour. Having a hard time getting students to come to office hours? Make it a party! Whether your students are online or in-person, finals, assessments, or problem sets are always right around the corner. By hosting a group study session, you’ll be able to connect with a lot individuals at a time. If time is an issue, invite student experts to lead the study session for you (giving them a treat for coming) and just act as facilitator while doing other work. No physical space? That’s ok too! With so many online meeting tools, having face-to-face meetings has never been more convenient. Tons of organizations on campus sell “grams” over the holidays to raise money for their group or a group of their choice. By buying grams in bulk for your students or coworkers, you’re not only showing them you care but most likely benefiting a cause or community on campus. Win-Win! As the end of year nears, holiday events, dances, sports, and community parties start to ramp up. Make it a point to attend one or more of these and you may just spark conversation with a student you don’t normally. It’s a great way to get involved and gain a new appreciation for your students or other staff members. Have your students write their names down on a piece of paper, tear it off, and put in a hat. Draw names and take one of our students out to coffee or lunch on you. It can be content related or not, but might be a fun way to get to know an individual in your class (of potentially 300 or more! ).